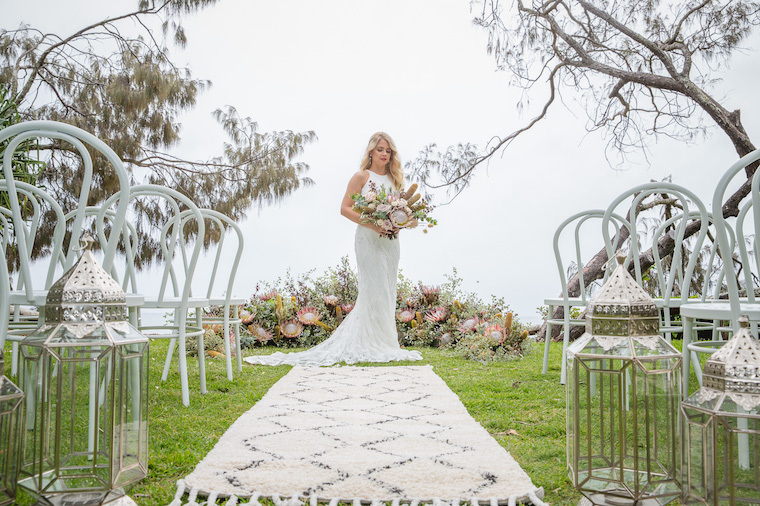 Get ready, guys and gals, because we have three sweet styles created by a team of local Sunshine Coast wedding vendors. 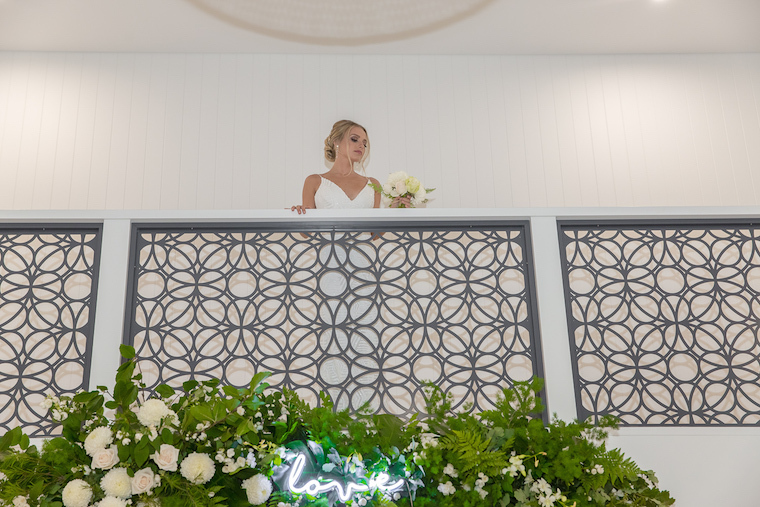 These three bridal styles will give you plenty of inspiration if you’re hankering for a beachside wedding on our famous Noosa shores. At Casuarina Gardens on Noosa’s Main Beach, a sacred flower crescent with the king of all blooms – the King Protea – steals the spotlight. As far as bohemian bridal styles go, this is as luxe as it gets. Whether it rains or shines, a lush circular floral arbour is always a good idea. Ellie is effortlessly chic with elegant sleek gown and upstyle. This shoot took place at the First Class Functions HQ in Noosa. White on white in an idyllic beachfront setting = Hamptons vibes. The crew set up at Hidden Grove, one of the most popular beachfront ceremony locations along Noosa Main Beach.